The Berstein family’s systematic, long-range approach to governance enabled them to achieve a smooth transition to second-generation leadership of their Delaware-based medical apparel and linen business. 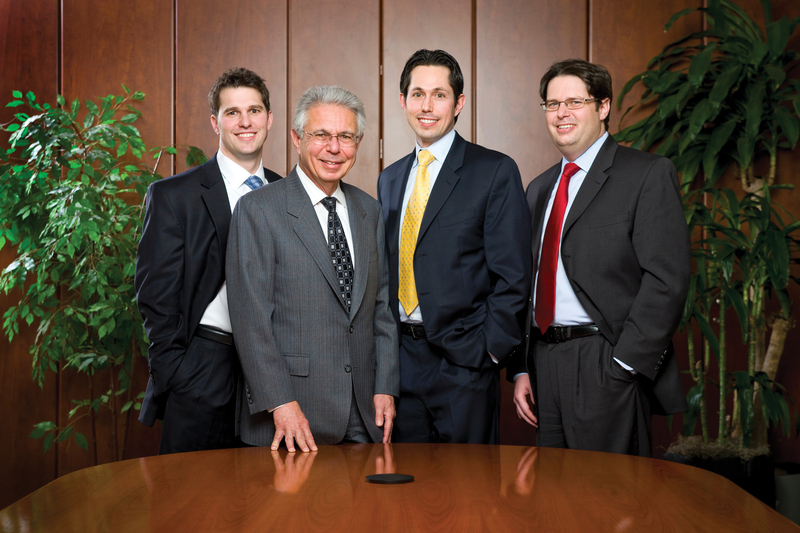 Murray Berstein, founder of Nixon Medical in New Castle, Del., was determined to take the right steps to ensure the future of his medical apparel and linen business when he and his sons hired a consultant in 2002. The consultant began outlining the most effective methods to pass the enterprise to the next generation. Murray listened intently, his eyes filling with tears. The consultant, Stephen McClure, says Murray’s heartfelt reaction proved his commitment to ensuring the continuity of Nixon Medical as a family-owned business — even if that meant he had to step back. Many other entrepreneurs pay lip service to succession planning advice and then fail to follow through, says McClure, a principal consultant at The Family Business Consulting Group. Murray grit his teeth and began to plan the transition, a process that would take more than a decade. Murray retired at the end of 2014. His three sons, Jason, Dan and Ben, now each own one-third of the business, which generates approximately $65 million in annual sales. They follow their father’s example of proactive planning because they too want to safeguard the enterprise for future generations. The Bersteins are determined to run a professional business and not an operation to fund a lifestyle, observes Kari Taylor, Nixon Medical’s newest board member and chief revenue officer at Benco Dental Supply Co.
Several observers of the Bersteins’ management approach use words like “humility” to describe it. “Ego is last,” observes Nixon Medical’s board chairman Dan Fisher, a former executive at Welch Allyn. The brothers allow themselves no special privileges. “I don’t have a special parking space, a bigger office, a private bathroom,” says Jason, 46, the company president. The game plan appears be working. The business, which has eight locations, has seen revenues grow three-fold in the past 12 years. 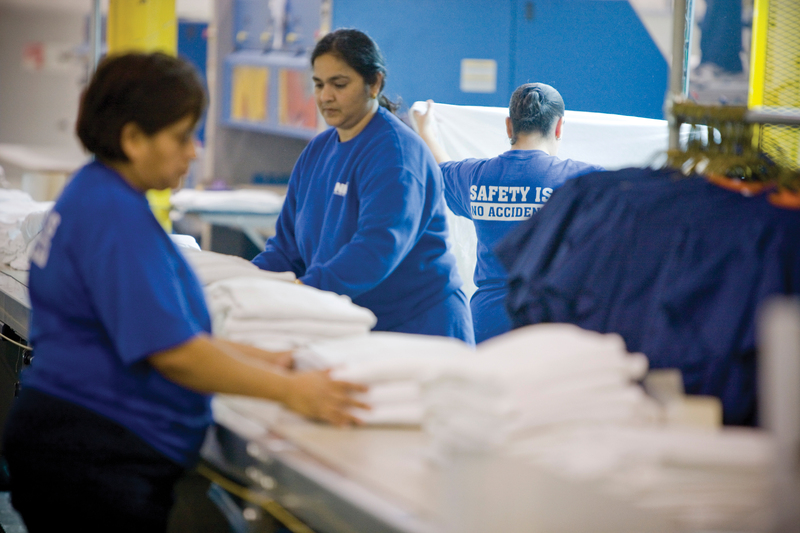 Today, the company employs about 520 people who help serve roughly 9,000 customers a week by providing scrubs, lab coats, patient gowns, sheets and towels to outpatient practices such as surgical centers, private physicians and laboratories. Known for years as Nixon Uniform Service, it was rebranded Nixon Medical last year. “We want to make it easier for our customers to take care of patients,” Jason says. Taylor, who has spent most of her career at large, publicly traded companies, admits Nixon Medical took her by surprise when she joined the board last year. Consider that the company sets sharp delineations among ownership, management and the board. Indeed, the governance structure at Nixon Medical is so formal the framework is codified in a chart that outlines primary responsibilities and duties of the various key stakeholders. The brothers respect and guard those boundaries, Fisher says. The six-member board consists of five independent directors plus Jason, the only inside board member. Similar to a public company board, the directors set dividends and distributions, oversee the strategic plan and approve the budget. The board also conducts Jason’s performance review. “We get involved in all sorts of detail we would not get involved in at a larger company,” says board member Randall W. Larrimore, who is also an independent director of Campbell Soup Co. and Olin Corp.
Larrimore says the brothers are keen to know how things are done at big companies. Each brother has a clearly defined management role. The siblings could have opted for a co-CEO model but decided to adopt a “leader among equals” system. The oldest sibling, Jason, who has been in the business since 1996 and holds an MBA from the University of Delaware, was unanimously elected president. It is not a position for life and is dependent on the performance of the business. Dan, 44, who graduated from Ithaca College and joined Nixon Medical in 1997, is executive director of continuous improvement. Ben, 42, who also holds an MBA from the University of Delaware and came into the business in 2004 after working in marketing research, is vice president of sales. The three brothers are scrupulous about keeping their management responsibilities separate from their roles as owners. In day-to-day operations, Dan and Ben stay in their lanes and don’t try to circumvent Jason’s authority. “We don’t expect to know everything, and we’re fine with that,” says Dan. The time for donning their shareholders’ hats is structured so as not to bleed into their jobs in management. “We’re shareholders and have management roles. We work very hard not to combine those two things,” Dan says. “It’s like a parallel track we’re on,” adds Jason. Every other week, the brothers meet and talk about such things as personal development, board issues, retirement planning and legal matters related to ownership. This is not a casual meeting over a few beers but a formal process where minutes are taken and action items are pinned down. The brothers take turns facilitating the meeting. “The concept is, in our managerial roles there’s a hierarchy but as owners we’re all equal,” Jason says. Every year, the brothers hold a family business planning retreat with their adviser, McClure. To strengthen their relationship, the brothers also take an annual vacation together, such as a fishing holiday in Florida. The object is to have fun, Jason explains. Separately, another short vacation includes the entire family council, which consists of the brothers, their spouses, their father and their mother, Marie. In the hall at the company headquarters hangs a large photo that shows the first Nixon outlet, a storefront dry-cleaning business in the economically hard-hit city of Chester, Pa. Although a far cry from today’s pristine operations in a manicured office park, that is where Murray got his start. He grew up in Southwest Philadelphia in an entrepreneurial family. His father made women’s hats and handbags in partnership with two other men. Murray would sweep up on Saturdays. “It was a nice upbringing,” Murray recalls. When Murray was about 10 years old, his father died. His widowed mother converted the front porch of their row home into a retail store that sold women’s undergarments, which were supplied by his uncle, a wholesaler in the business. Murray’s brother, Jerry, who is five years older, would sometimes have to collect bills in the neighborhood. After serving in the U.S. Army Reserve, Murray attended night school at Drexel University and took a job at a large uniform company. The business made clothing to sell to other companies and had branched out into uniform rental. Murray began batting around the idea of starting their own uniform rental business. Key to any operations would be a place to clean the uniforms. In 1967, they bought Nixon Dry Cleaners, a small operation with a plant in Chester. Within six months, brother Jerry joined the business to handle sales. 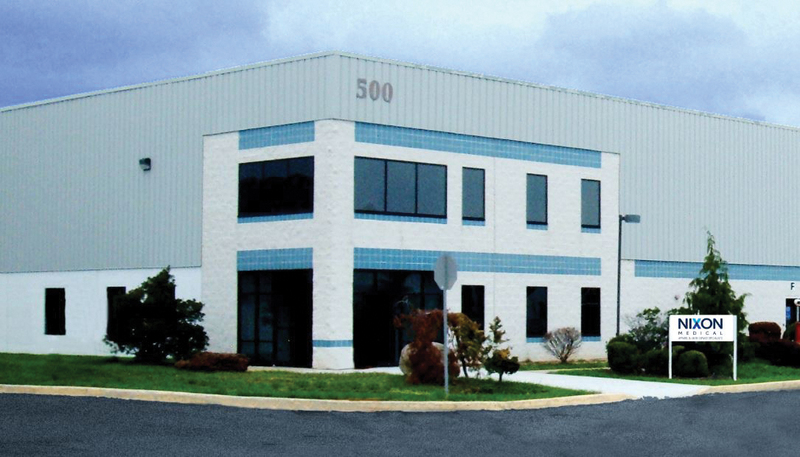 Before long, the Chester location was replaced by a plant in a former A&P supermarket in Wilmington, Del. The brothers diversified, including acquiring a uniform company in Maryland. By 1986, Nixon Uniform Service, as it was then called, was generating about $15 million in annual sales and employed 200 people. In the 1980s, the business moved into healthcare attire, the area that would become its sole focus today. Murray and Jerry worked well together, Murray says. The two had offices next to each and ran separate parts of the business. Jerry handled sales and service while Murray took care of production. Both wives also worked in the business. By the late 1990s, the brothers recognized they needed to go their own ways because both wanted their sons to have a business to go into. The solution was to sell off some of Nixon assets and divide the business in 1997. The split wasn’t easy, Murray said, but the brothers knew it was best for the next generation. Things changed rapidly at Nixon once the brothers split the business. Based on his positive experience with his brother, Murray felt it was important for his sons to have someone they could look to for sound advice. He established an independent board of directors in 1998. Next, he hired McClure to help with a generational change. The first step was a retreat with McClure where they hammered out such things as the timetable for the transition, what the leadership structure would look like after the transfer and the objectives for ownership succession. In order for Murray to retire financially independent of Nixon Medical, a portion of the operation that represented 25% of the business, but no longer fit with the company’s long-term strategy, was sold off. True to their mode of operating, the Bersteins also clearly spell out their goals by separating them into two categories — business and family. For the business, the core purpose is to grow and create opportunities that enrich each other’s lives. The long-term vision is to provide service to every major U.S. market. The management team undergoes an annual formalized strategic planning process. Jason says the process is designed to determine “how we’re going to win” and “how we’re going to get there.” The plan involves very clear and easy-to-remember initiatives and objectives, he explains. The effectiveness of the plan is reviewed at every board meeting and is tweaked if necessary. The hallmark of the brothers’ style is their thoroughness in seeking out information, making a considered judgment and then following through, McClure says. For the family, the goal is to continue 100% family ownership with the objective of transitioning the business to the third generation. Although the nine members of the third generation are all under 11 years old, the second-generation brothers recently amended and restated their shareholder agreement to maximize the success of the eventual transition, Jason explains. Part of the plan includes transferring non-voting stock to the next generation. “We want to grow like a tree, not like a fire,” Jason says.